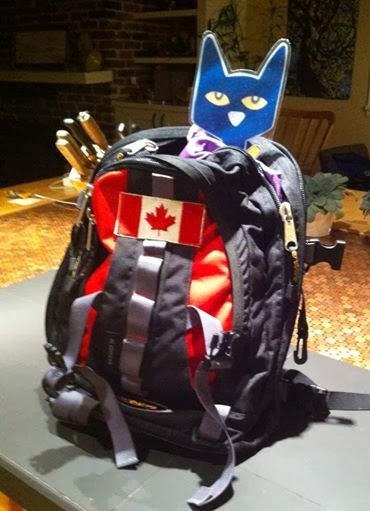 My son came home from university on December 20th. As the case with many 18 year old boys, he had not even begun to think about what he wanted to give people for Christmas. But Mu-um, I had to study for exams, and then I had to pack .... I bailed him out by telling him about a dvd that his dad wanted. We got online, and the dvd was $3.00 short of the free shipping amount. Mum to the rescue: I will buy a book so that you don't have to pay shipping, Son. And that is how I just got this book in the mail. Jon Klassen must have a thing about hats. I Want My Hat Back was brilliant. This time the hats go sub-marine. This hat is not mine. I stole it. I stole it from a big fish. He was asleep when I did it. A small fish, blatantly and un-repentedly steals a hat from a big fish. He thinks that he can get away with his larceny, because the big fish was sleeping. And will be asleep for a long time. And probably won't even notice that the hat is gone. And if he does notice, the little fish will go to where the plants are tall and strong and grow close together. Where nobody can find him. The pictures tell a different story. Brilliantly. If you aren't totally hooked yet (pun very intended), watch the trailer. 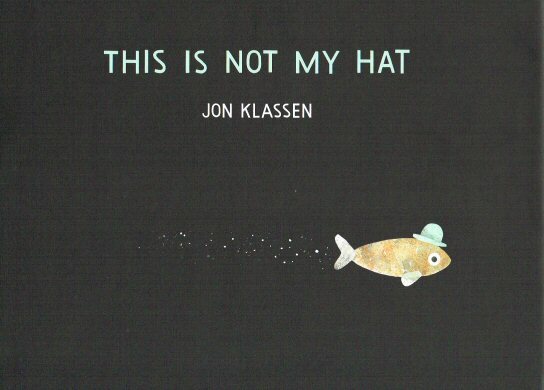 We are going to have a wee bit of fun with hats - no stealing allowed - after we read both the Jon Klassen books. We will have a crazy, silly, where-on-earth-did-you-get-that hat day. 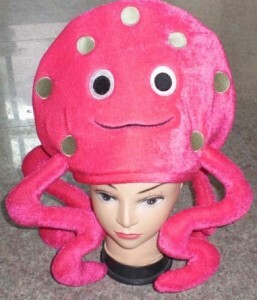 I am feeling a touch partial to this one of a kind head covering. This post is linked up with a bunch of lovely bloggers who review perfect picture books each Friday on Susanna Hill's blog. Loved your choice. Great message for kids -- I can only imagine the outcome. Have heard about this book, but just haven't read it. Sounds like a lot of fun. The video was cute. Love Jan Brett's book and your sharing other hat books. Nice post. I have been wanting to read this book! I loved I Want My Hat Back! 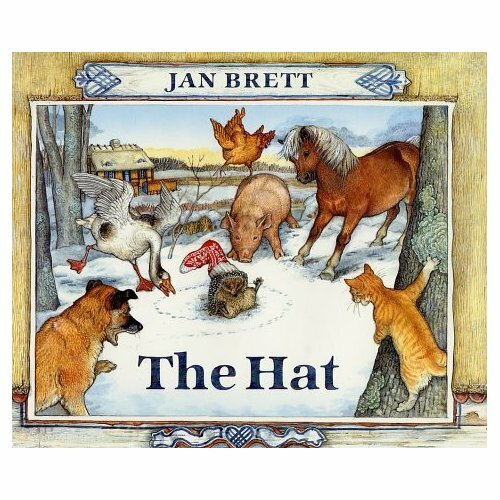 I like that you are teaming it up with other hat books! Those all look interesting as well. 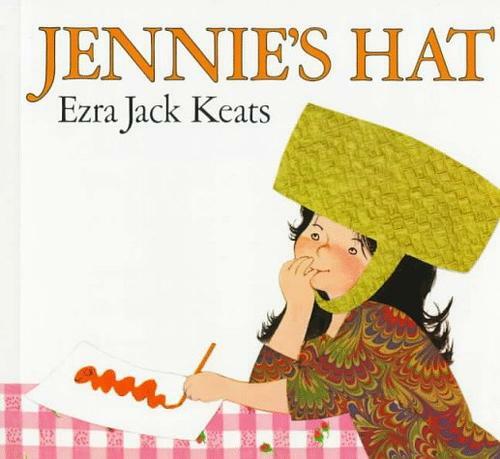 I've enjoyed The Hat and Caps for Sale, but am not familiar with Jennie's Hat. Thanks for sharing! I loved reading the books myself - and can't wait to read them to the kids at school. Hats off to a fun-filled week of reading hat-themed books! Sounds like good times are in store! Hopefully a good time will be had by all. 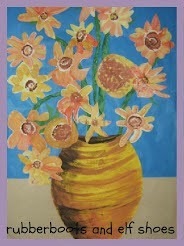 I think you will enjoy them. Happy New Year! 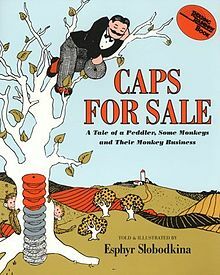 I love hat books...Caps for Sale is one of my all time favorite picture books of all time! Thanks for a great review and the list of all of the others in that category. Caps for Sale is such a great book to re-enact. Fingers crossed the Thrift Shop has a bunch of caps for me tomorrow. My brother bought me "This is Not My Hat" and "I Want My Hat Back" for Christmas. I love them! They are both really cute. Your brother obviously knows his way to a first grade teacher's heart! 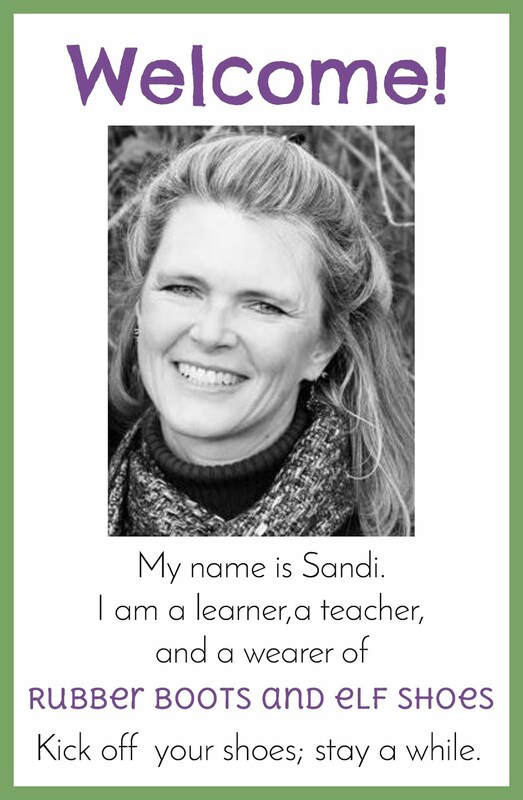 Very fun, Sandi, and I am loving that pink octopus hat - right up by alley style-wise :) Great idea to do a whole bunch of hat books together - all such great stories and all so different! Thanks for sharing this one! Oh, I have that Caps for Sale. It was my brother's favorite growing up. I heard about Klassen's latest on Katie Davis's podcast, but hadn't seen the spreads until now. Cute! I keep accidentally putting this one on hold at the library, but enjoy it every time! Actually mean to get 'I Want My Hat Back', but I forget which is which! That's funny - and sounds like something I would do! Thanks for the giggle. Oh I've been meaning to buy that book. Now I will for sure. I love your whole hat theme. That sounds like a lot of fun! My kiddos wanted to know what happened to the little fish. Any ideas? My kids were pretty cut throat! They really wanted the little fish to have met a nasty end. Compassionate little critters! !